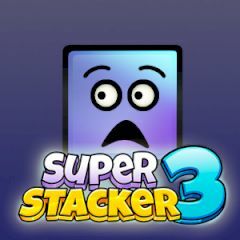 Stacking things double fun when it comes to Super Stacker 3. In this game you need to place on figures from the top panel inside the pattern and make them stable. Wait for stability check and if nothing falls, you get your points and level completion. Drag figures and release to drop them in precise moves.